We are about to head off for home which is welcome as it has just started snowing in Aalst. However, before we reach the Eurotunnel for our 8pm train, we have much to cram in. 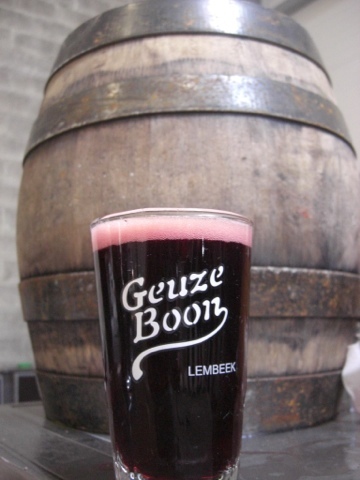 First stop at 11 am will be the Rodenbach Brewery for a guided tour of the historic brewery and a tasting of their beers. Second stop of the day is the In de Vrede cafe, home of the beers from the Westvleteren Abbey opposite. 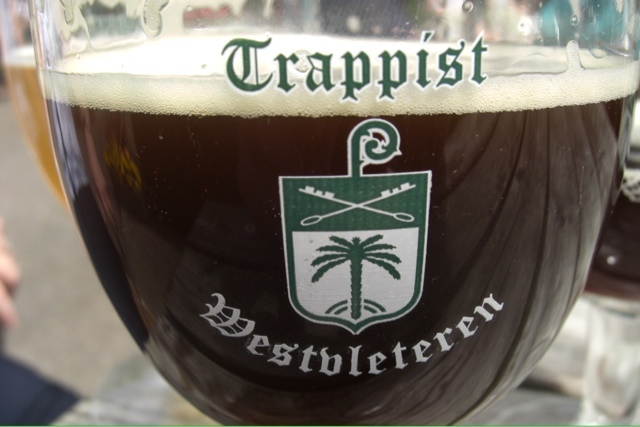 Rightly or wrongly, the Westvleteren 12 remains the top beer worldwide in the Ratebeer.com rankings and this cafe is pretty much the only place in the world you can try it. Better try the 8 and the blonde just to be sure too. Final stop of the trip will be the Sint Bernadus Brewery whose beers have been compared favourably to those from Westvleteren and are more available. We will have a brewery tour and a full tasting in their picturesque tasting room overlooking their own hop fields. ETA Chelmsford is about 9.30pm for a final pint of best English ale and another night in the Travelodge before setting off for home tomorrow morning for a well earned rest. 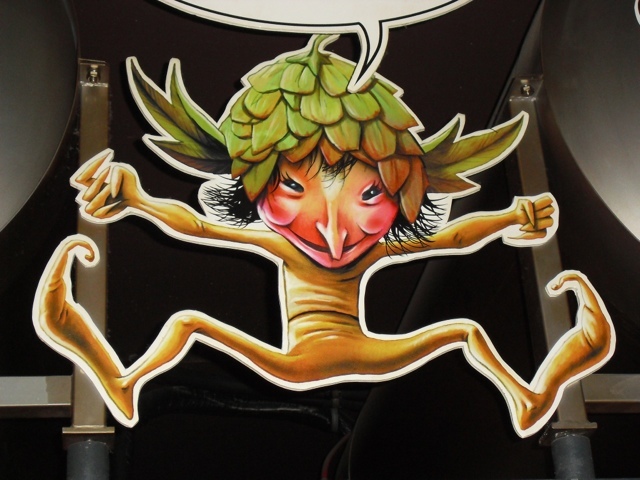 Hopefully I have provided a taster for how good the Podge's Beer Tours are. Well organised, efficient, friendly, good company, plenty of beer, bars and breweries in hard to find places, on the go for five full days. Recommended ? Oh Yes ! Day 3 ended rather messily, three more bars in the centre of Aalst, finishing with a sing song of ye olde English folk songs at midnight in the same bar I started the day in. This resulted in day 4 beginning slowly with the hangover from hell. Quick walk round the town and on the bus at 10am for the customary visit to the beer warehouse. Complimentary beers and buy as much as a grown man can reasonably carry. Back on the bus for a ride to the Haacht Brewery Tap for a drop of the unfiltered yeast beer and away again to lunch at the Het Anker Brewery tap for a few of their beers including the liquorice infused Paasbeer, their Easter seasonal. Alas no brewery tours today as most are closed on Sunday. Sustained we are on the bus again to another excellent beer cafe, In de Linde , with a beer list strong on Lambics and Geuze. Final stop of the day is the specialist Lambic cafe, In de Verzekering Tegen de Grote Dorst who opened specially for our group. They are normally only open on Sunday lunchtimes but if you have never visited this place it is vital you get it on your list of places to visit if you like sour beer. Their list of lambics, gueuze and krieks is as comprehensive as I have ever seen. Bring plenty of money if you want to try any of the long closed breweries aged beers though, they are as rare as hens teeth and priced accordingly. As the 5 or 6 krieks that I tried over the course of the day blended and matured, my belly was spontaneously fermenting so I turned in early as we reached the hotel at about 9.30 while plenty of my travelling companions hit the town - again. Up bright and early to be ready for the bus at 9.30 to secure an early tour at the Cantillon Open Brewing Day followed by a chance to catch up with beer geeks from around the world at the Alvinne Craft Beer Festival. 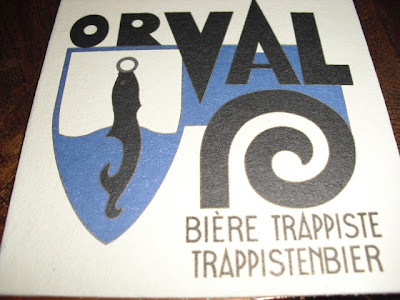 The late afternoon and evening will see us travelling to three more bars/breweries visiting the Brouwerij Gaverhopke to try their Brun 12 followed by the brewery tap at Verhaege Brewery and lastly the unpretentious Cafe Casino, the tap for Cnudde Brewery planning to get back to Aalst at about 9pm in time to enjoy a couple of pubs on the town square. But first I have a date with a custard croissant followed by a sharpener in the Kastanjehof pub round the corner from the hotel which opens at the crack of dawn on a Saturday to refresh market traders and visitors. If you don't embrace these customs they will disappear and we will be left saying "remember when that pub used to open on a Saturday at 7am ?)." I am doing my best to keep such quirky traditions alive. Strewth, massive day of beer ! Custard croissant - always a good start to a day in Belgium and on the bus at 10 towards Dupont Brewery for 11.30. A history of the brewery followed by a tour of the new brewery, a couple of beers, Moinette blond and brun, both 8.5% just to get us going. A quick Dupont Saison on draught or a bottle of their rare stout at the Caves Dupont pub over the road and back on the bus to get to Dubuisson Brewery for 1.45pm. A meal complete with prunes in the beef stew,always a good sign, a pint (sorry 50 cl) of Wit from their Troll microbrewery followed by a brewery tour and tasting of another five beers,including the 12% Bush beer that the brewery is famous for and the Prestige,an equally strong beer aged in cognac barrels. Long session here but back on the bus to reach Quintine Brasserie for 6.30. A tasting platter of four beers here including the excellent Hercules Stout. There is a chance you will find a picture of me enjoying myself on Facebook though my notes from here on are patchy. Hotel for 10.30, though again the hard liners are on a late night bar crawl. I am settling down early anticipating another big day tomorrow. 6.15am start from the Woolpack. Stop for a coffee at the terminal and on the 9.20 Chunnel. First stop at noon is Struise Brewery. An old school house where Urbain and his team give brewing talks and have a trial brew plant; the main brewery being a few miles down the road. 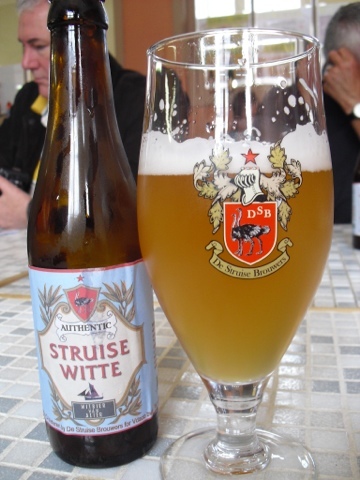 A quick Struise Witte and, thanks to me asking too many questions, not really enough time to try the Pannepot or the other big beers that have given Struise an international reputation so quickly. Back on the bus for a 1.30pm lunch at t'Rusteel a cafe with 300 strong beer list but now with Gulden Spoor Brewery next door. A steak and a home brewed IPA beer but the highlight is my eagle eyed spot the Boskeun from de Dolle Brewery, their Easter beer, blonde, tasty but a mighty 10%. Back on the bus and a short ride for a 4.30pm visit to a bar with a 400 strong list, Heeren van Liederkercke. 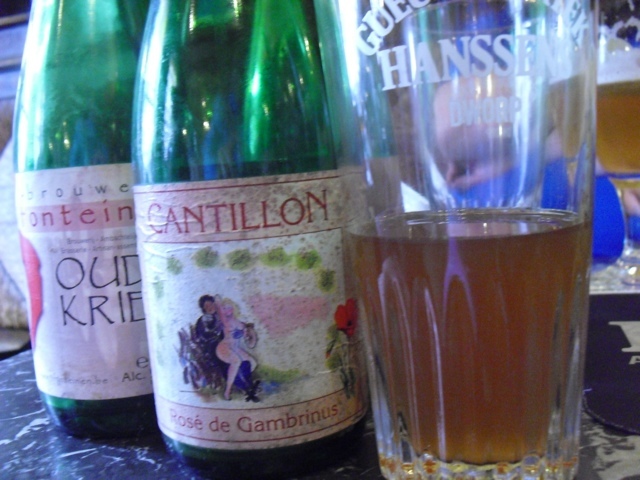 The list is pretty strong on sour beers, so my choices were a Cantillon Lambic on draught and a Hanssens Oedbeitje, a strawberry steeped lambic. Quick check in to the Keizershof Hotel in Aalst at around and round the corner at ten past to the local pub, Kastenjehof. A straightforward, fairly small beer list but a Rodenbach Grand Cru, an Affligem Paters Vat and one of the Worlds greatest beers, Rochefort 10, at an unbeatable €3 set off the day perfectly. I am sure some of the travellers are giving it large at bars in the main square or the hotel bar. For me that is something for another night as I am turning in early to write this blog. After nearly three months without a blog post , I am giving live blogging a go using the blogger mobile app. Please forgive the punctuation and spelling and any Illustration and links will have to wait. I am not even sure it will work properly. As I am using an ipad, I will be relying on any wifi connections on my travels. I am just about to embark on my fourth Podge Beer Tour and a few people have asked recently whether the trips are good. Short answer : yes. Long answer follows over the next five days. Best of Belgian is a five day trip, four nights. The cost is £420 plus a single supplement of £120 if you have no companion and prefer not to share. The biggest logistical problem (for me at least) is that the tours leave at 6.15am from Chelmsford. (there are collection points at Colchester, Ipswich and Folkestone but if you are not an Essex Boy it necessitates a stop over . Luckily there is a £19 a night Travelodge five minutes from the departure place (and a twenty minute walk from the station). ( I generally take another night at the end of the trip too. Although the intended time back into Chelmsford is about 9.30pm in good time for a train back to London, an extra Travelodge night gives a leisurely journey home the next morning). It is only £13 return (with a network card discount)from Liverpool Street to Chelmsford but this off peak ticket does not allow travel between 4.30 and 6.30pm. I prefer to travel early, get a few pints in and a bite, and an early night in anticipation of the early start. I am writing this post from the Queens Head, Crouch Vale Brewery's only pub and about 15 minutes walk from the hotel. Great beers (3 CV and 3 guests), the crackle of a real fire and a warm welcome. The 3.6% Essex Boys Bitter is a great start to the weekend but I feel that twice CBOB winner, Brewers Gold, is calling. (no evening food here). On the night before the trip, it is important to acquaint myself again with the Woolpack as this Greene King pub (with guest ales) is tomorrow's 6.15am departure point but only a five minute walk from the Travelodge.